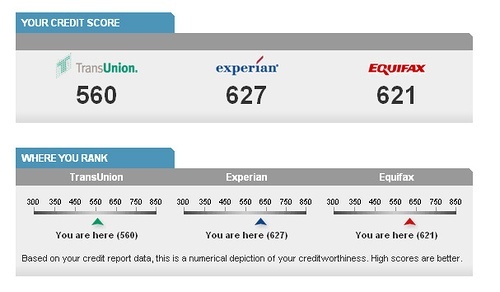 No matter what your stance about credit is, your credit score can be helpful in many situations. Yes, credit may not be good for you if you cannot seem to control yourself and spend like crazy when you have extra “funds” left on your card, but there are other areas in which an average or high score actually does help. Not everyone can buy a house with cash. Or buy a car with cash. Even if you don’t want a house or a car, to get an apartment you most likely need good credit as well at most places. Also, certain jobs are now looking at your credit score, and if it’s not high enough, then you will probably not get the job you wanted. Credit allows individuals and families to be able to buy houses, cars, rent apartments that they want (and yes, that they can still afford) with a loan, and obtain jobs that they applied and interviewed for. The better your credit score, the lower your interest rates. We all want lower interest rates right? Low interest rates equals less money spent on something that you don’t necessarily need to pay for. The difference between a 3.5% interest rate and a 5.5% interest rate on a house could be hundreds of dollars a month and thousands of dollars a year (and maybe even more!). Below are some ways to increase your credit score quickly. Your credit score doesn’t entirely depend on utilization, but it does a little bit. If you use more than 30% of your credit line (such as more than $300 on a $1,000 limit), you could be negatively hurting your credit score. Pay off your debt if you can and get your utilization rate below the 30% line. Try to pay off your balance in full every month as well if you can. 2. Call and ask the credit company to increase your credit line. If you’re not good with your credit card, then you probably DO NOT want to do this. However, if your credit is very low, such as $300, then you might want to ask for an increase in your credit line so that you aren’t always going over the utilization rate. The higher your credit line will lead to a lower utilization rate. If you can truly trust yourself, then asking for an increase can help your credit score. Order your credit report and check to see that there are no mistakes. If there are any mistakes, make sure you get them fixed, as this can definitely help increase your credit score. 4. Keep your older cards. Many think that just by cancelling some of your credit cards, that you will be helping your credit score. However, make sure not to cancel your longest standing credit cards! Your credit history and how long you’ve had your credit cards impacts your credit score greatly. If you have no use for these older cards, just take them out every now and then and use them for a small purchase. How are you trying to boost your credit score?